Help Daricha Foundation. Support Folk & Tribal Arts. Your donation, however small, will be a huge help in fulfilling our goals. Our Society has received eligibility for issuing Section 80G receipts for Donations received by us. So, all donations made out to us by an Indian assessee will be entitled to 50% income tax benefits under Section 80G of the Income tax Act, 1961. 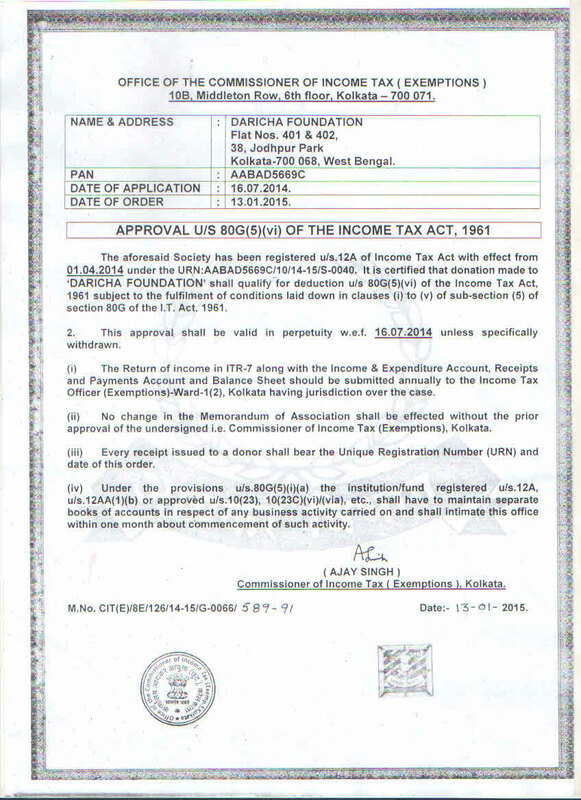 Download Daricha Foundation`s 80G certificate here. Do notify us should you be kind enough to donate, along with your name, address and email id, so that we may issue you a donation receipt.